Phew, these last two months have been the most nerd intensive in my life. I've had the idea to write a post in the back of my head already for some time but I hadn't had the opportunity. 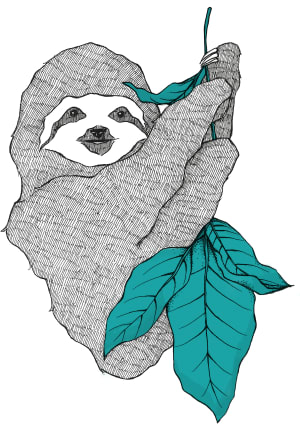 It all started with the Front-End Love Conference in Amsterdam, that was on February 15-16. Instead of indulging in the classical 'I am single and it is February 14th' I decided to travel to Amsterdam for the first time to celebrate my biggest love at the moment: my work (a relationship with its crisis and ups and downs, like any human to human relationship). I had never been in a conference of this scale and it felt weird as Hell to see in person the people whose articles I normally read when I try to learn something new or troubleshoot something reading articles from Medium or CSSTricks. They actually exist. FrontEnd Rockstars, yeah! The conference was centered in praising the greatness of VueJS though there were talks about React and React Native, Angular and Nativescript. 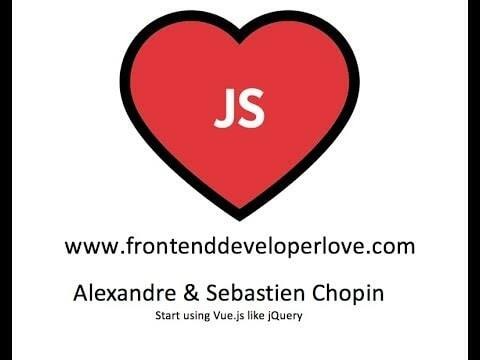 The second day was even devoted only to VueJS. there is some discussion going on in the youtube channels. 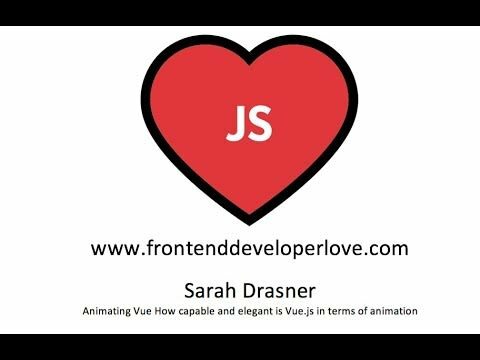 A session of live coding by the very great Chopin Brothers: How to migrate a project from jquery to VueJS in 15 mins, though I just saw the conference name was changed in youtube now. (Isn't it sweet, I mean, not just coding with your brother, but presenting at conferences with someone from your own flesh and blood). 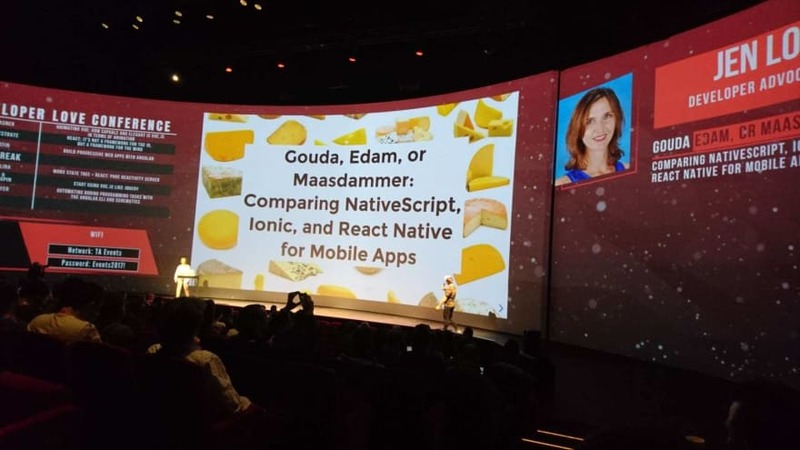 The third talk I liked a lot, it was called 'Gouda, Edam or Maasdammer. 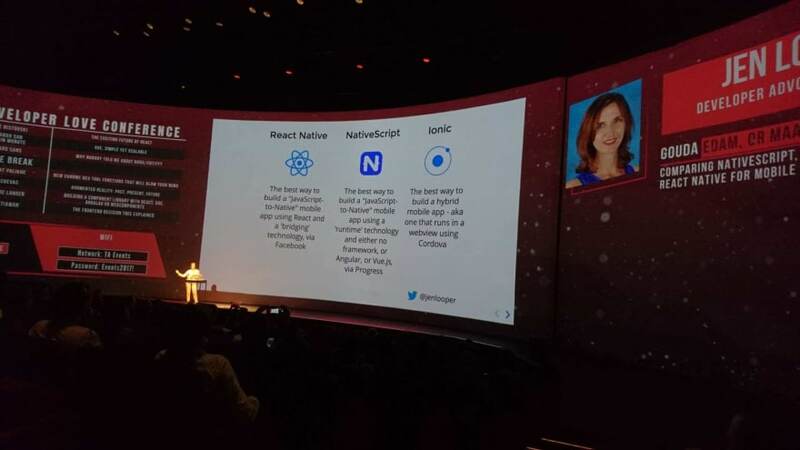 Comparing Nativescript, Ionic and React Native for Mobile Apps' by Jen Looper. 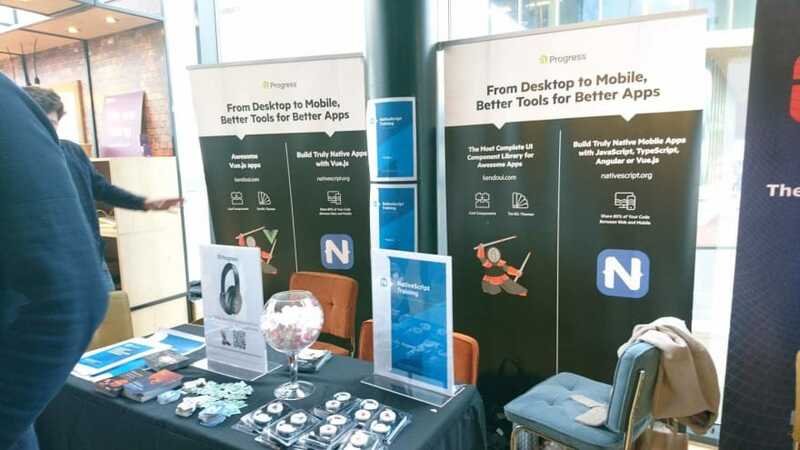 It was particularly interesting to me because I was just in the process of choosing a framework to develop an app for work and she explained very well the differences between the three by building the same app in each one of the frameworks. She works at Nativescript, so guess which ended up being the weapon of choice for her! I just realized that if I put all the super exciting events in one post it will be sausage long and dreadful to read... So this is part I, folks. See you in the next one. 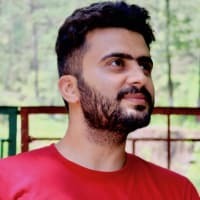 React Native cleanup practices that will keep you sane.